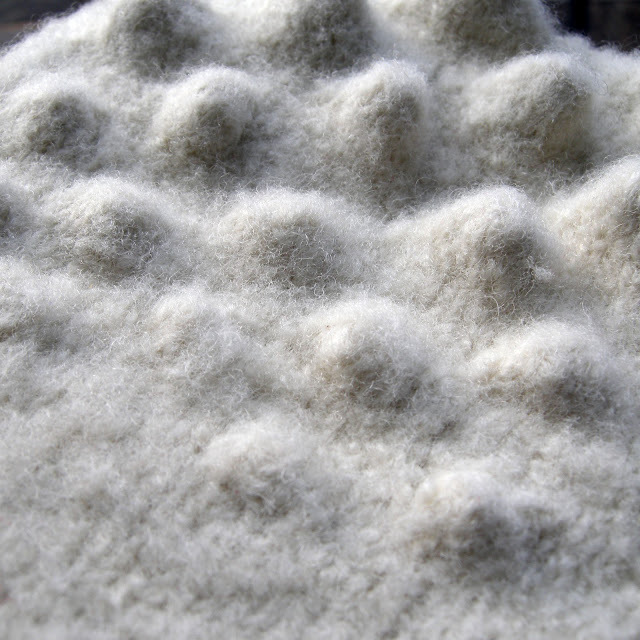 This is a feltscape, or a felt landscape made with my new lumpy knitting technique. see the lumps as they slowly rise out of the flat felt piece to create hills. My next step is to make jewelry pieces that are a soft version of those studded spike bracelets.